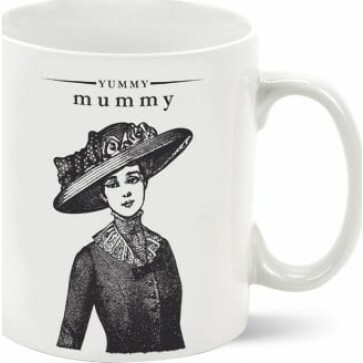 Only the most elegant and youthful of mummies can sip a yummy drink from this Victorian inspired mug. Oedipal complex may or may not be included. Comes in designed packaging. Pure porcelain. Only the most elegant and youthful of mummies can sip a yummy drink from this Victorian inspired mug. Oedipal complex may or may not be included. Comes in designed packaging. Made from pure porcelain. Dishwasher and microwave safe.